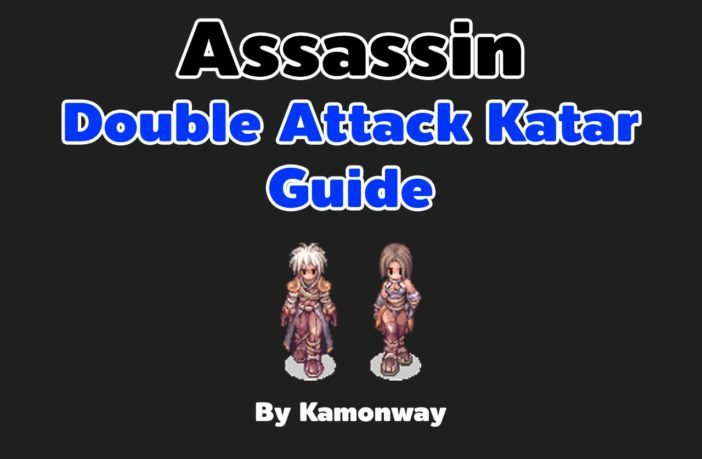 Welcome to Assassin Double Attack Katar Guide in RevoClassic server. This guide is based on my own experience and from many consultations. I hope it will save your time. 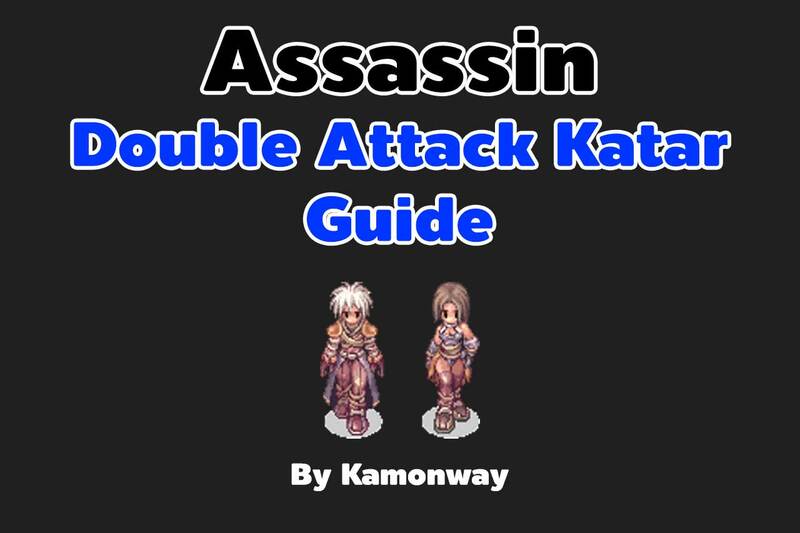 Assassin Double Attack Katar build is normal attack character(click and wait). It’s a combination between Katar and Snake Head Hat or Sidewinder Card. It makes Katar can double attack. This build has high Aspd with katar. We can grimtooth for leveling because this build has good hit rate. – Beginner friendly. Low cost but high damage. – You can reach Aspd 186. It’s very fun. – You can use grimtooth for leveling. – Dps less than Dual Dagger Build. – If you need more damage you need to refine you weapon. Comment This’s standard build for everyone. Luk for Atk. Agi 90 make your aspd reach 186. You can leveling with Grimtooth(Very good method when 90+). 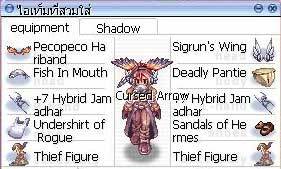 This build give you high DPS and easy to play. Comment Don’t use Snake Head Hat with SideWinder Card.It’s the same. Select one you want,don’t both. Priest is the best of support class. Aspersio enchant your weapon with Holy element. Q : What’s starter equipment for beginner? A : Snake Head Hat and +7 Jamadhar, Becuase you can buy snake head hat in cash shop and +7 jama is not expensive. Q : What is best weapon for leveling in every where? A : I think +7 Katar[2 Skel Worker Card] is very good in my opinion. Q : Why not use Snake Head Hat with SideWinder Card? A : The both are same effect. Choose 1 for you. 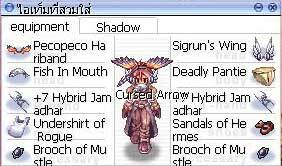 If you want damage, Snake Head Hat and Katar[2 Race Card such as Hydra Card]. Q : Why this build is good for beginner? A : Just buy snake head hat and jamadhar from NPC. It’s not need high end quipment like Assassin Critical. Choose the right style for you. Really helpful guide indeed! This is what im going for. Can i ask what would be the best leveling route for this build? And again, thank you so much for this! You the best! Thanks man! how about on lvl 80-99? Nice stuff. Based my build on this, just tweaked it a little. Thanks! Currently base lvl 53. I’m planning to use this build but already put my steal to lvl 10. Is it ok if my Hiding is only Lvl 8 or is it really needed to be Lvl 10? Oh, Don’t worry. It’s not different. If you don’t mind, can you give me some guide on what stats to prioritize while leveling. I’m currently lvl 53. str 55, agi 49, dex 18. Dex 30. You need hit to attack monster. For the items. I already have snake and npc jamadhar. What should I prioritize to buy next? Planning to follow this build and currently at base lvl 65. Just want to ask how you fare in pvp battles? For Now, Assassin not good in PVP. We will rise when Hi-Class come. Got it. How about MVP hunts? Do Assassins have a role or even go solo? Lastly, what do you think about the thief card set? What cards are best to put in Snake Hat? Is it Deviruchi? and i think this does more damage than crit if you have snake hat.. If you use snake head hat, I think +7 Katar 2 sw is better than jur[3sw]. Does crit affect double attack. Just like a Equip critical Assasin. This is my question actually, I’d prefer Dex for it gives chance for additional attack speed and reduces the damage variation (I think). Dex > Luk or does the additional damage bonus from Luk help better? I’m currently level 75 and have roughly 40 base Dex. Dex 10 is enough. Luk will valuable when Str above 80. Luk 3 = 1 atk. but when str above 80. it uses 10 status point to get 1 str. are RACE cards better than ELEMENTAL cards? How do I go to the Kobold map? Is it the same map as the pre-renewal map? 2 Left of Geffen map. Hi Admin, what do you think about MVP hunts? Do Assassins have a role or even go solo? Lastly, what do you think about the thief card set? is putting a skill points in left&right hand mastery not worth it?? It’s not have any effect when you using katar. Quick Question: The stats that you displayed, are those the final base stats or do those include the bonuses? That is final base stat. Hi Admin, thanks for this guide. Question: Which build can kill monster fast? Double attack katar or pure critical? Double attack katar is faster. So it means DA Katar have a higher DPS than Critical build? I’m level 72 assassin and below are my stats. My question is, Can I still do this build while leveling? I worried about not hitting the monster properly with 1 Dex. Please give me some advice. Try to equip crit gear like SS or Kobold. or if you want to use double attack for leveling, use Angle spirit. does snake hat only use lvl 5 double attack? if you have level 10. it’s give level 10. It’s not good for now. It’s very good when you are AssX. Is it really worth putting Luk on DA Katar build? I have my Dex at 33 and still misses on some monster like Kobold? Also when I GT mob there are still instances that it misses. Should it be Dex > Luk instead until hit reaches 300? Then the spill over stats on STR? for DA Katar build. Dex should 40. Check monster hit and flee before leveling in that map. is it ok if i dont put luk for this kind of build? Yes. it for atk. you can go Str or Vit. If u like. Best farming build for assassin? Double Attack Katar, Crit or DD? DA Katar or Rogue? Who’s better in farming? Rogue is better. Guarantee something 1 ea. Thanks! Any weapon suggestion that I can use? Something that I can use on every map. 🙂 Hope you will have a Rogue guide someday. Nice guides by the way. im planning on using snake head + 3x drainliar wind katar on my lvl83 sin. around 2,000 damage? when u say agi 90 is it base stat or include bonus from job ? male thief bug or martyr nice? matyr is better. 10% Hp is very good. but if no budget mtb also can to buy? headgear can put nightmare card or deviruchi?